Crystal and Brent are a proud ‘Tinder success story’. 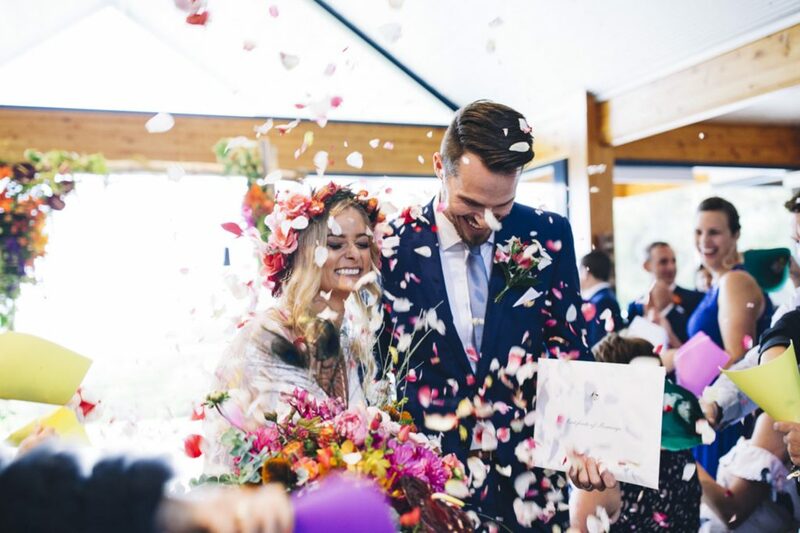 They first swiped right for each other in April 2015, and after only a couple of dates they knew this was it – they had found their life partner! 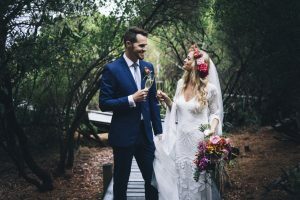 Within the first month of dating, Brent found out that he had landed his dream job in New York city, so the new couple made it work long distance. Three months later Crystal made her way over to the USA to holiday with Brent. After spending just two days with Crystal, Brent decided to quit his job and fly back home to Australia with the love of his life. They moved to Sydney together at the end of 2015 and created a wonderful life together. In 2016 Brent contacted Diamonds and Pearls with a design that he knew Crystal had been admiring. 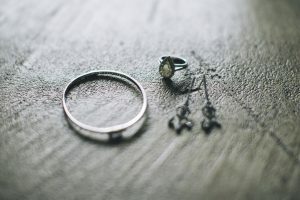 All contact being via emails and phone calls we managed to source the perfect diamond and have an exquisite ring made, then on the 11th of September 2016 Brent asked for Crystal’s hand in marriage. 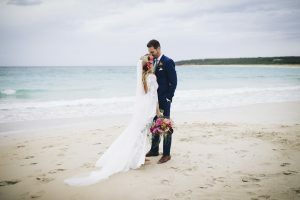 Of course Crystal accepted Brent’s proposal and began organising their incredible boho-vibe wedding in the South West of WA. On the 10th of February 2017 Crystal and Brent became husband and wife, destined to live happily ever after! Such a beautiful wedding! Check out the sparkles at 04:30! Photo credit goes to Russell Ord Photography – View his website here.